Mookaite: Mineral information, data and localities. Named after Mooka Station on which it was found. The term 'Mookaite' is an unofficial, locally coined name for a silicified porcelanite which forms in the weathering profile of a geological formation known as Windalia Radiolarite (WR), a Lower Cretaceous siltstone that outcrops over much of the Carnarvon Basin in Western Australia. 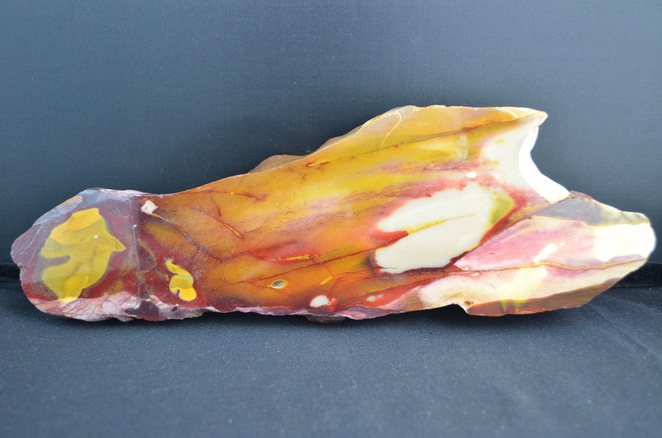 Mookaite is variously, and incorrectly, described as chert, opalite, chalcedony or combinations of the three. 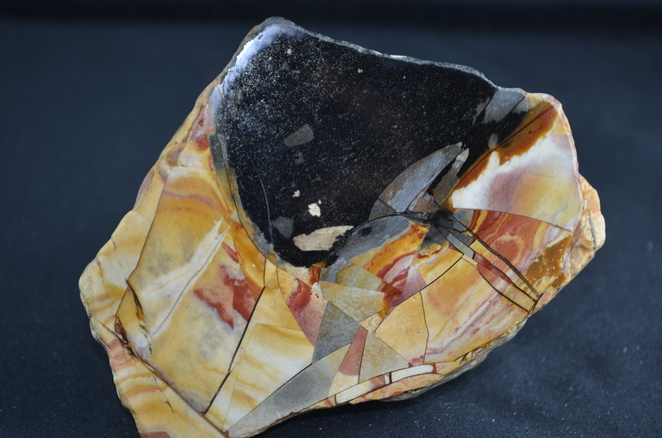 From a strictly geological perspective however, Mookaite is best defined as a silicified type of Windalia Radiolarite whose silification is opaline to chalcedonic. In Featherston et.al. 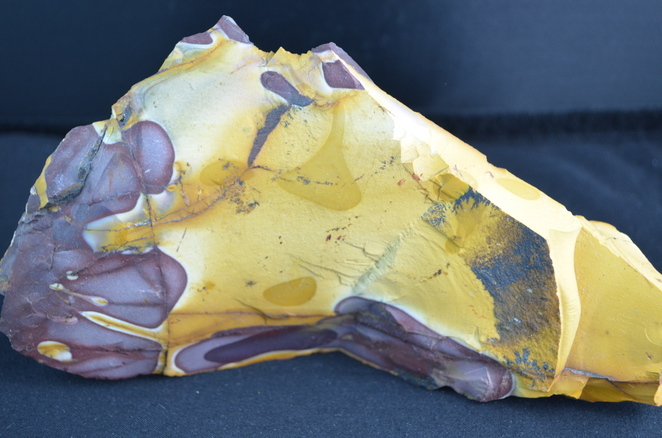 Mookaite is described as being "dominantly massive ultrafine silica".